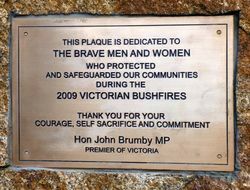 The monument commemorates the men and women who protected the Victorian communities during the 2009 Victorian bushfires. The 2009 Victorian bushfires also called Black Saturday, where more than 400 bushfires that started in Victoria, Australia on February 7, 2009. 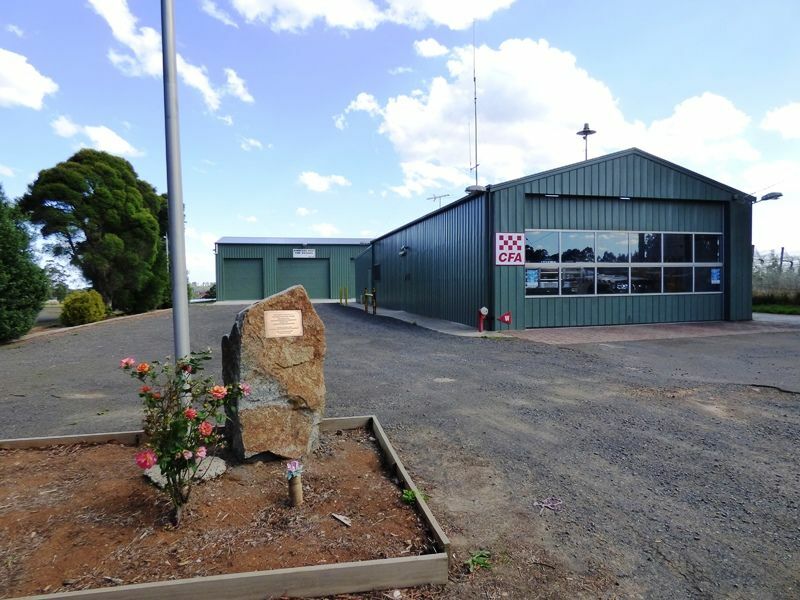 The fires caused Australia's highest ever loss of life from a bushfire. Police say that 173 people died, and 100 people were taken to hospitals with bad burns. At first the death toll was thought to be 210, but forensic tests have shown there were only 173 people killed.